Canadian Manufacturing: Foreign Expansion, Government Investment & Advanced Technologies - Meteor Foundry Co.
← Meteor Foundry Celebrates Manufacturing Day Friday, October 6th! The Manufacturer’s Outlook 2017 positions the Canadian manufacturing industry as aggressive and agile. It stacks up stronger than the US economy in terms of the potential to penetrate foreign markets and the wherewithal to execute its plans successfully. Canada has seen turmoil over the last year as several initiatives put in place by the Obama administration were jeopardized by the succession to power of real estate Moghul Donald Trump. The destabilizing of the green back and the push pull in the global oil and gas sector have also added to the uncertainty. But Canada is ready with a blueprint of success. How’s the Manufacturing Industry Shaping Up? Canada is a country of 34.6 million people strong. The growth rate has been sluggish over the years but cautious optimism is in the air with an anticipation of breaking the 2% glass ceiling. In the midst of this speculation, three keywords have emerged strong – Innovation, Energy Efficiency & Exports. As a part of Canada’s three-year strategic plan for manufacturing endeavours, strengthening export ties with USA features prominently. 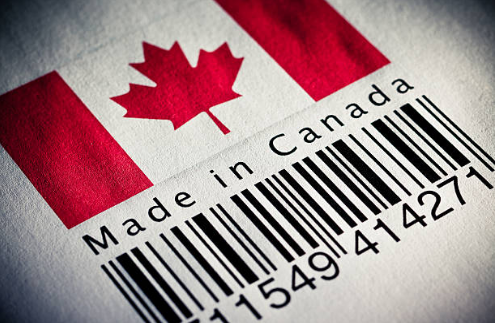 The North American industry is also poised for growth and the dollar on its way to regaining superiority makes it a favorable investment for Canadian manufacturers. The fabled 180 billion-dollar 12-year long term infrastructure improvement drive is opening up a plethora of new opportunities for manufacturing. Better public transport and social systems are bound to attract investments. And Canada is being viewed as a tolerant, safe and progressive land by the Millennials who are choosing the maple leaf over other, previously hyped destinations. The housing industry will benefit from this influx and all streams will ultimately feed the increase in demand to the manufacturing machine. To stay prepared and fight the skills gap – employee training programs, technologies like CAD blueprints, data analysis for performance enhancement and 3D printing are being called into use. In light of a growing awareness of environmental impact and tightening of legislative policies, more and more Canadian manufacturers are gearing to explore reduction of carbon emissions and better water use policies to stay globally competitive. Canada is already the cradle of clean energy and these measures will support its claim of being a green friendly nation while cushioning the manufacturing industry from fluctuating fossil fuel prices. The Foundry is an ISO 9001:2008 certified company that has consistently produced high quality Aluminium and Zinc alloy castings for its buyers. We prize on-time delivery, being a symbol of dependability, and have been the reliable partner of Canadian manufacturing for 6 decades. If you want to stay updated of the shifts and developments in manufacturing, follow us on Twitter and LinkedIn. You can also contact us at customerservice@meteorfoundry.com for quotes. This entry was posted in 3D Printing, Castings, Clean Energy, Economics, Manufacturing, Mining and Castings, New Technologies, Sustainable Manufacturing and tagged 3d printing, Aluminium and Zinc alloy castings, CAD blueprints, Canada’s three-year strategic plan, data analysis for performance enhancement, fossil fuel prices, global oil and gas sector, improved public transport, Manufacturer’s Outlook 2017, potential to penetrate foreign markets, reduction of carbon emissions, the Canadian housing industry, the Canadian manufacturing industry, the cradle of clean energy, the skills gap, water use policies. Bookmark the permalink.